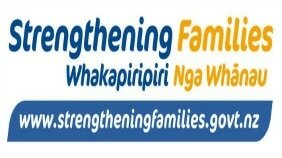 Strengthening Families pulls together support for families/ whänau in New Zealand. The people helping your family may be a budget advisor, truancy officer, social worker, medical specialist, counsellor, teacher or other support worker. You work out together what support your family/ whänau needs and what each service is going to do. Then everyone agrees on a plan to move you forward. It is set up so families/ whänau tell their story once to everyone at the same time. Strengthening Families is free and 100% voluntary. "Getting all the support agencies together got some doors opening, and everyone who had been at the meetings did what they said they were going to do. It was amazing what was achieved in just four meetings."